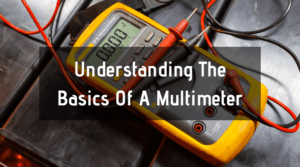 Before getting into multimeter reviews and comparisons of the best multimeters, let’s take a step back and put a novice spin on multimeters in general. A multimeter, also known as a multitester, and volt-ohm meter (VOM) is used to measure voltage, current, and resistance in an electrical circuit. There are two basic types: analog and digital. 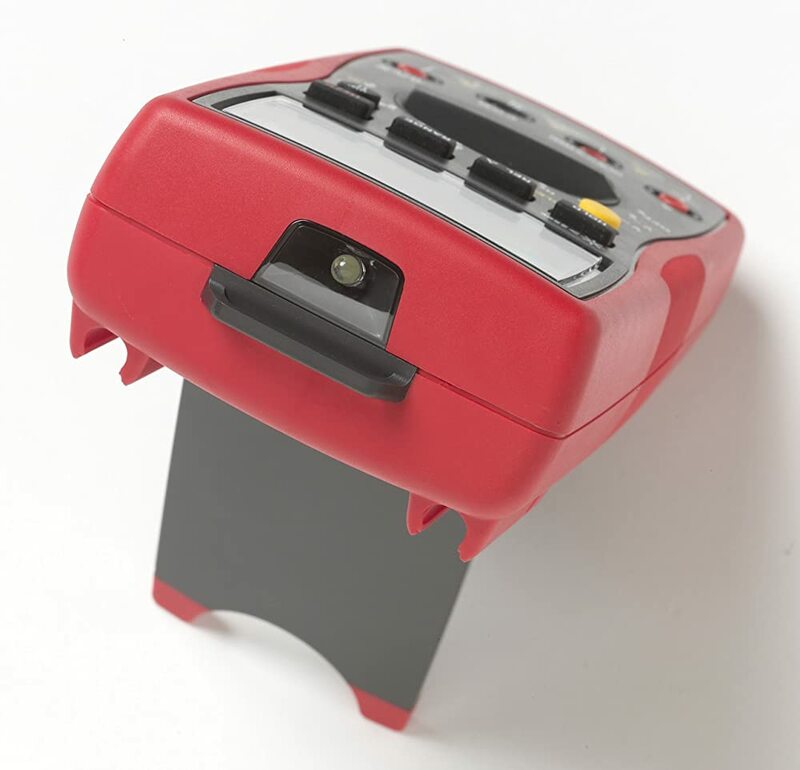 An analog multimeter uses a moving pointer to indicate readings. Digital multimeters use a digital screen to display readings. Some units may offer a graph of the readings as well. At one time analog multimeters are more common in professional and industrial settings and digital multimeters were more common for household use. Today, digital multimeters rule the industry. The most common use for a multimeter is to troubleshoot electrical problems in industrial or household electronic equipment, motor controls, appliances, power supplies, and wiring systems. Finding the exact place where the current is broken can often be the difference between a quick, easy fix and having to replace an expensive piece of equipment. Multimeters are available in a wide variety of prices. Today, digital units are far more common than analog units and; therefore, are much less expensive in many cases. For instance, a simple digital unit can be as inexpensive as $10. On the other hand, an extremely sensitive analog unit for complex industrial or laboratory use can cost as much as $5,000. In industrial settings, equipment technicians and engineers use multimeters to build, refurbish, or repair machinery. In a setting where replacing a single piece of equipment can cost a company millions of dollars, it is important to be able to check a circuit for completeness, assess the voltage coming from a power source, find any faults in a circuit, and test the continuity of a power flow. Check batteries in electronic devices, your automobile, or motorcycle home. ​Check the power supply and voltage from an alternating current or direct current source. ​Measure the resistance in a current(Ohms). ​Check bulbs and lighting fixtures. ​Check for breaks in current within the wiring in your home. You should invest in a multimeter that is going to be up to the task you are most commonly going to ask of it. While that is a very ambiguous statement, it is the truest measure of which multimeter is suited to you. Are you going to be measuring circuits that put out a lot of amperes? Then safety is a major concern. Are you simply looking to check out an occasional circuit? 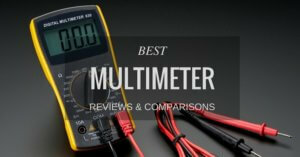 Then the best digital multimeter for the money, may be your top concern. Once you have determined your expected usage range, then you can concentrate on the attributes of a variety of multimeters. Those attributes should encompass many things, but minimally they should include: ease of use, especially for a novice; price; accuracy (digital units can be more accurate than analog by about 5 percent); versatility in measurement. Along the lines of versatility, most home hobbyists will want a unit that offers auto ranging, dB ratings, adjustable sample rating, triggering and data acquisition. If you need additional features, nice options such as a removable data storage, transistor testing, auto continuity, and temperature can come into play. Of all these features, auto ranging may be the most important. This feature allows you to select a wide range of voltages so you can easily and quickly switch from looking for a computer malfunction to testing a complex wiring system, then on to another task without having to calibrate or change multimeters. Our multimeter reviews will include the: Fluke 115 Compact True-RMS Digital Multimeter; INNOVA 3340 Automotive Digital Multimeter; Amprobe AM-530 TRMS Electrical Contractor Multimeter with Non-Contact Voltage Detector and Temperature; Klein Tools MM1000 Electrician's Multimeter; and the Mastech MS8264 30-Range Digital Multimeter with Temperature Measurement. For an apples-to-apples comparison while searching for the best multimeter, we will be looking at several aspects of each unit. Those considerations are: display, control and settings, safety compliance, sensitivity range, and analog or digital monitoring. On the surface, it may seem that the design and quality of the display is a trivial detail, but it will have a major impact on how easy a multimeter is to use. Many digital multimeter reviews point to the need for an LCD backlight for use in low light areas. While a backlight is of huge importance for professionals, it is not quite as key for home use. What is key under any circumstances is to have a display monitor that is large enough to be read easily. The Fluke 115 Compact True-RMS Digital Multimeter has a large display that is easy to read with a white backlight for those enclosed areas. The INNOVA 3340 Automotive Digital Multimeter has a large display that is similar in size to the Fluke 115. This unit is marketed toward the automotive industry and is not backlit. ​The display screen of the Amprobe AM-530 TRMS Electrical Contractor Multimeter with Non-Contact Voltage Detector and Temperature is the exact same size as that of the INNOVA 3340. It does have a backlight and a built in flashlight. The flashlight feature allows you to verify wire colors and see more clearly when working in electrical boxes. ​Klein Tools designed the MM1000 Electrician’s Multimeter with the professional in mind. The large backlit display is easy to read under any number of circumstances. The backlight is bright enough to help relieve some lowlight situations. The Mastech MS8264 30-Range Digital Multimeter with Temperature Measurement offers a backlit LCD display for easy use under a wide variety of circumstances. The best digital multimeter must have a wide variety of controls and settings so that it can meet all of your needs. You will want a multimeter with auto shutoff, data logging, temperature measurement, and min/max/peak hold features at a minimum. The best digital multimeter for the money you spend will offer every feature that you can imagine needing on a regular basis. 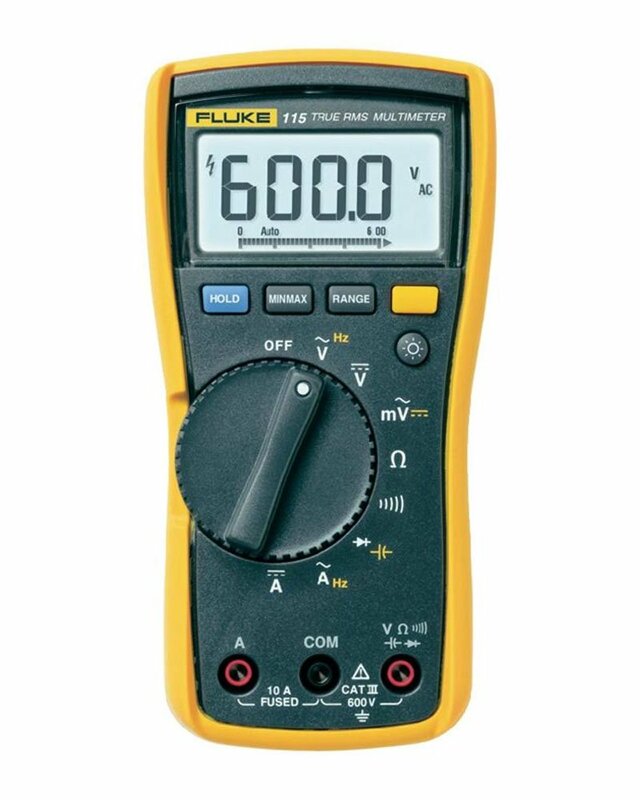 The Fluke 115 Compact True-RMS Digital Multimeter is able to handle a DC ma range of 200ma to 1A; checks continuity, frequency, capacitance, and offers a diode test; measures 20 A for 30 seconds and 10 A continuously; has an operating temperature range of -10 degrees to +60 degrees Celsius; and has built in overload protection. The INNOVA 3340 Automotive Digital Multimeter is designed to specifically test alternator diodes, duty cycle, solenoids, breaker points, wiring, switches, etc. To ensure that is performs all of those functions, it features a temperature probe, inductive RPM clamp, auto-ranging, auto shut-off, over-load protection, and test lead holders for hands-free use, a key feature when testing while the motor is running. The Amprobe AM-530 TRMS Electrical Contractor Multimeter with Non-Contact Voltage Detector and Temperature is able to test voltage up to 600V AC/DC, AC/DC; can test for current, resistance and frequency, has a true RMS feature; test for capacitance; includes an audible continuity feature; has non-contact voltage detection; a built-in flashlight; as well as diode and duty cycle test features for for troubleshooting. 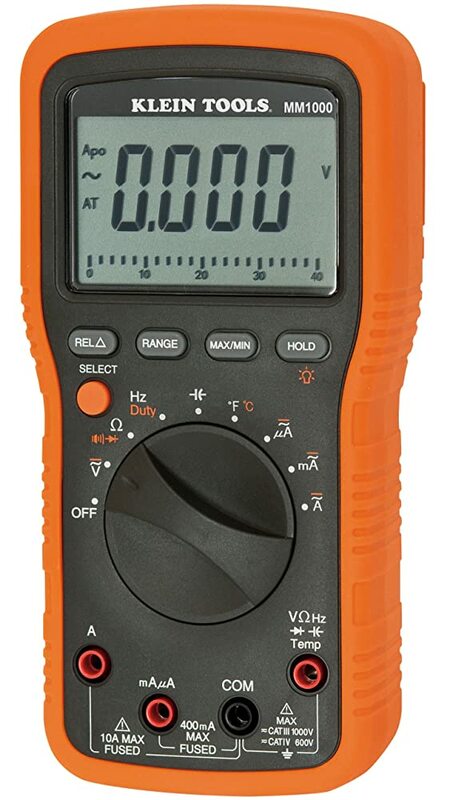 The Klein Tools MM1000 Electrician’s Multimeter offers a bar graph instantly responds to changes; true RMS; min/max/relative reading for easy troubleshooting; able to test 10.00A AC/DC, up to 1000.00 VAC and VDC; can test up to 1.0 Mhz frequency; and tests conductor resistance up to 40.00 Ohm all with an auto-ranging feature. The Mastech MS8264 30-Range Digital Multimeter with Temperature Measurement offers an SMT application; a 1999 count display; automatic function and symbol indication; diode testing; continuity testing; auto power-off; data hold; and a backlight. Why is safety compliance important with a multimeter? Voltage is voltage after all, isn’t it? That might be true if it weren’t for the oft times unpredictable nature of electrical currents. Engineers have discovered that failed multimeters were frequently subjected to higher voltage than the user believed they were measuring. Another issue is momentary high-voltage spikes or transients. Protection from these transients must be built into the multimeter. The International Electrotechnical Commission(IEC) has developed international safety standards for electrical test equipment. The current standard is IEC 1010 for the highest level of safety. There are four categories within IEC 1010. Denoted with Roman numerals I through IV, the higher the number, the higher the electrical load the equipment can withstand. Additionally, if you purchase a multimeter that is rated for loads heavier than you require, it may not be sensitive enough to detect the lower loads that are key to your work. The Fluke 115 Compact True-RMS Digital Multimeter complies with IEC category III for 600 volts. That means you can test distribution, including single-phase commercial lighting, equipment, and appliances with a short connection to service entrance. The INNOVA 3340 Automotive Digital Multimeter is UL-listed for 10 Ohm. It is not in compliance with an IEC category and should only be used for automotive testing. The Amprobe AM-530 TRMS Electrical Contractor Multimeter with Non-Contact Voltage Detector and Temperature is in complaiance with IEC category II 1000V and category III 600V. The Klein Tools MM1000 Electrician’s Multimeter is in compliance with IEC category III 1000V and category IV 600V. The Mastech MS8264 30-Range Digital Multimeter with Temperature Measurement conforms to IEC category II 1000V and category III 600V. One of the most important aspects of finding the best digital multimeter for the money is its sensitivity range. If you are dealing with industrial equipment, you will not need to be able to detect low levels of current. If you are mainly working with electronics, you do not need to detect large current levels. 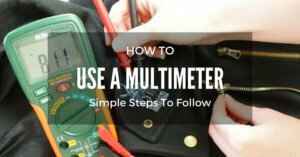 Knowing what the main use of your multimeter will be could save you quite a bit of money on the initial purchase. It could also prevent you from having to buy additional units in the future. There are many ways to measure a multimeter’s sensitivity range, eight to be exact. We are only giving the known ranges for AC/DC voltage in this review. Further details can be found on the website of each unit’s manufacturer. The Fluke 115 Compact True-RMS Digital Multimeter can measure between 0.1 mV AC/DC up to 600V AC/DC. 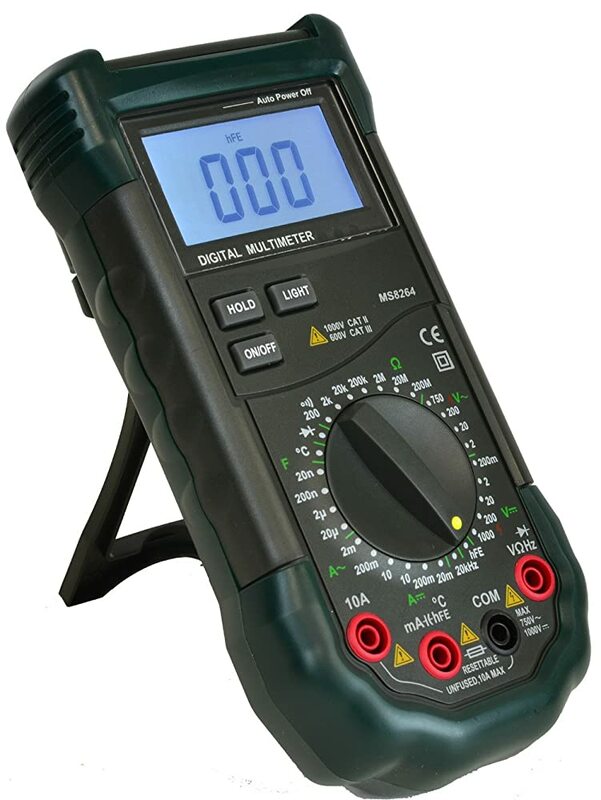 The INNOVA 3340 Automotive Digital Multimeter can measure up to 15 amps and has an impedance of 10 MegOhm to prevent damage to sensitive computer equipment. The Amprobe AM-530 TRMS Electrical Contractor Multimeter with Non-Contact Voltage Detector and Temperature is able to measure AC/DC voltage between 400mV and 600V. The Klein Tools MM1000 Electrician’s Multimeter is able to accurately measure voltage between 2V and 1000V AC/DC. The Mastech MS8264 30-Range Digital Multimeter with Temperature Measurement is able to measure AC/DC voltage between 2V and 1000V. 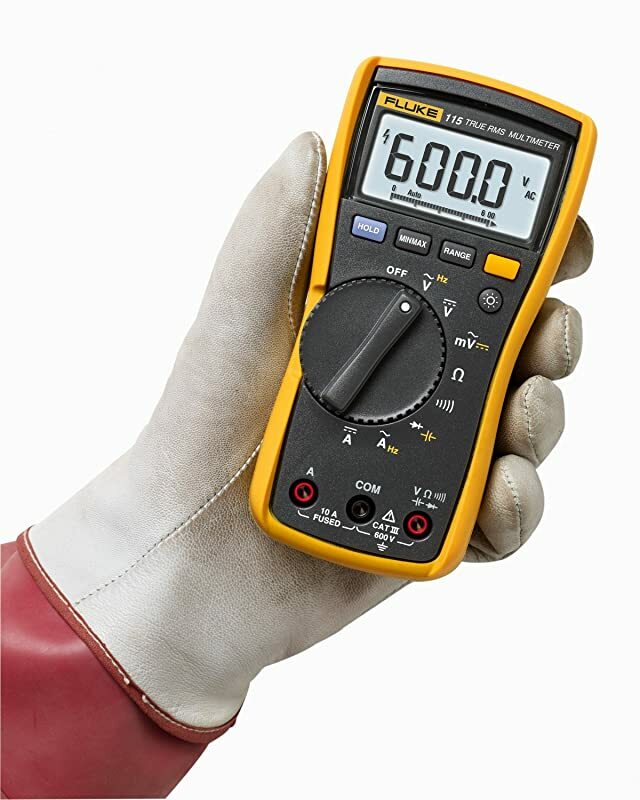 Another important aspect of a multimeter’s sensitivity range, is its accuracy when measuring. Our digital multimeter reviews would not be complete without mentioning this all important feature. Each of the multimeters reviewed has an accuracy rating that falls between 0.5 percent and 1.5 percent depending on what aspect you are measuring. Another factor that is key to accuracy is RMS(root mean square). True RMS(TRMS) is the conversion of the sinusoidal AC signal to the displayed value. TRMS meters will cost more, but measure more accurately even when they are reading irregular waveforms like square, sawtooth, and/or rectified. At one time, analog monitors were the only option available. As with every piece of technology, multimeters have evolved. The digital monitor has been a key upgrade within the electrical testing niche. The digital monitor has made multimeters more suitable for handheld use and offer a more accurate reading than many analog units. Still, it may be important to explore the precise reasons for needing each type of multimeter before moving on to the units we are reviewing. Analog multimeters offer a few variances that digital multimeters may not. Among them are: personal preference, peaking adjustments, fast moving changes and trends in a circuit, as well as having a low impedance compared to the high impedance of a digital multimeter. This low impedance is a drawback when measuring electronic circuits. On the other hand, low impedance is key to detecting the stray or ghost voltages between de-energized wires and adjacent energized wires. Analog meters will load a circuit and completely drain a circuit, rendering it safe to work on. Digital multimeters will not read these ghost voltages. To solve the low impedance issue, some digital multimeters have a setting on their rotary switch labeled LoZ for low impedance measurement of AC voltage, others have an accessory to do the same job. All of the multimeters we are reviewing here have digital displays, but not all of them offer the LoZ setting for measuring electronics. Often because they are designed for heavier loads or offer an accessory for the job. The Fluke 115 Compact True-RMS Digital Multimeter does not have the LoZ setting. 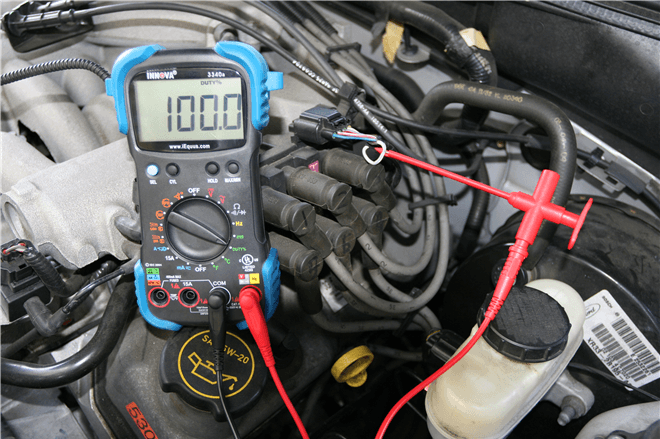 Designed specifically for automotive technicians, the INNOVA 3340 Automotive Digital Multimeter does offer low impedance to ensure the integrity of automotive computer circuitry. The Amprobe AM-530 TRMS Electrical Contractor Multimeter with Non-Contact Voltage Detector and Temperature does not offer the LoZ setting. The Klein Tools MM1000 Electrician’s Multimeter does not offer an LoZ setting. The Mastech MS8264 30-Range Digital Multimeter with Temperature Measurement does not offer the LoZ setting, either. Unfortunately, it seems as if none of the multimeters listed here would qualify as the best multimeter for electronics. Multimeters, like every product, have their pros and cons. For comparison’s sake, it is best to list those pros and cons side-by-side so that you can make the most informed decision possible. After all, you only want to buy a single multimeter. The Fluke 115 Compact True-RMS Digital Multimeter is a versatile unit that has many applications within the home and at work. Compliant with IEC category III, you can use it when working with home appliances and HVAC equipment. It is capable of being used in the field as well, making it a great tool for many consumers. On the downside, it is unable to read the small amounts of current used to power home electronics or much of the computer equipment connected to industrial units. Additionally, some owners have said that the display contrast is poor unless being viewed from a 90 degree angle. The INNOVA 3340 Automotive Digital Multimeter is a great niche multimeter. Designed specifically for use in automotive diagnostics, the INNOVA 3340 is the best multimeter for automotive use. Unfortunately, that niche specific design is the INNOVA 3340’s biggest drawback. It is so specific to its use that it should not be used for other applications. Owner complaints include an unsteady tachometer reading and poor measurement of dwell angle. The Amprobe AM-530 TRMS Electrical Contractor Multimeter with Non-Contact Voltage Detector and Temperature is a great tool for many contractors. The built-in flashlight is an awesome bonus in lowlight situations. Audible continuity and non-contact voltage detection are useful features, as well. On the downside, customer service is abysmal. Buyers have complained about calls being dropped, not returned, representatives not knowing parts numbers, and the company not even knowing what replacement fuse to send. The Klein Tools MM1000 Electrician’s Multimeter is a great tool for contractors needing to work with equipment that falls into the IEC category III 100V and IV 600V range. It offers outstanding versatility and durability. Add in its relatively low price and you have an awesome tool that should provide years of use. On the downside, this multimeter only reads to the tenths on circuits above 12V; also, this meter is designed with professionals in mind. That means there are some items that must be manually selected. If you do not have a professional background these settings may be ignored, causing fuses to be blown and erroneous readings to be had. The Mastech MS8264 30-Range Digital Multimeter with Temperature Measurement is a great tool for bargain hunters. It offers many more features than you might expect for such a bargain-basement price tag. As with the other multimeters, there are a few flaws in the Mastech MS8264 30-Range Digital Multimeter with Temperature Measurement. According to several owners, the unit takes up to 2 minutes to ”warm up” before giving accurate readings. Many have complained that the casing is too bulky, and a few have recommended adding a threaded end to the probes so that alligator clips can be attached. 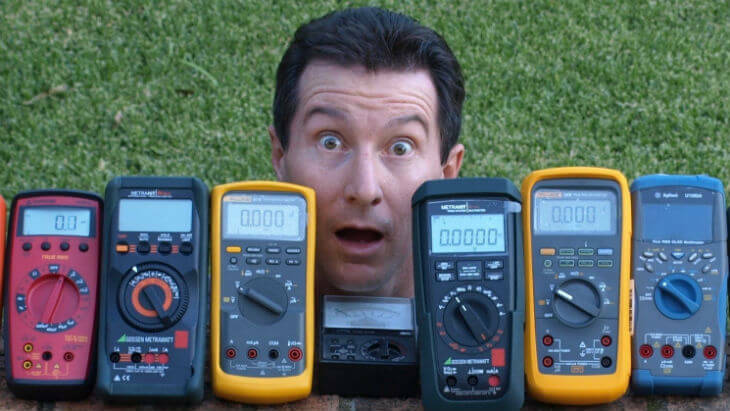 As we wrap up our multimeter reviews and comparisons, we have a small conundrum. 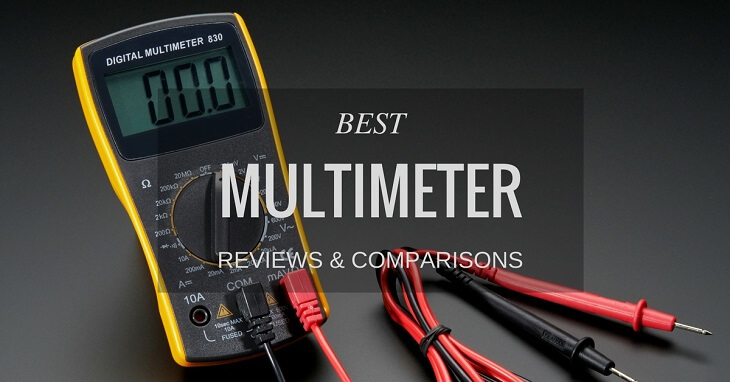 There are two multimeters that would be considered the best, but for different reasons. Overall, the Fluke 115 Compact True-RMS Digital Multimeter is the best digital multimeter on our list. It offers the greatest testing range and the vast majority of features that buyers could want. It also offers great customer service and a warranty. The high price tag can be daunting, but the extra money is worth it. For the bargain hunter, the best digital multimeter on our list may well be the Klein Tools MM1000 Electrician’s Multimeter. Yes, it is more expensive than the Mastech MS8264, but it offers a wider range of testing and fewer aggravations from the warm-up period and is more compact. It looks like your multi tester product is sophisticated, next time may message yes. Can the product be in a message from Indonesia? And how?